← A Reflection On Earth Day Founder Gaylord Nelson: What Would He Have To Say Today? No one said it was going to be easy – being a progressive that is. Social movements, simply stated, are hard work that takes time. Patience. Fortitude. Perseverance. Those are hardly the buzzwords of our 21st century, 24-hour news cycle environment. But the old saying that anything of value has a price tag attached to it certainly is true of today’s progressive movement. And the price tag of hard work, grass roots community building and determination are exactly what marks the work of the Progressive Democrats of America (PDA). PDA was founded in 2004 to transform the Democratic Party and to seek to build a party and government controlled by citizens, not corporate elites with policies that serve the broad public interest, not just private interests. PDA’s “inside/outside” strategy is guided by the belief that a lasting majority will require a revitalized Democratic Party built on firm progressive principles. 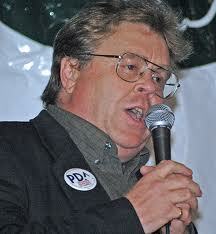 “We were active in the national arena in 2004,” said PDA Executive Director Tim Carpenter. “Howard Dean and Dennis Kucinich were active at that time trying to unite the party around issues such as single payer and reduction of military spending. We began with the dream that we could elect a progressive president. Although that didn’t succeed, now nine years later we have put together an organization that is committed to those issues. We’re working at the grass roots level, by Congressional District, working inside and outside of the Democratic Party. “As I reflect on the last nine years, I think it’s important to realize we’re still here,” Carpenter said. “It’s been years since we were just an idea and now that idea has taken shape. There are activists working around the country on the inside and outside strategy. I think the measure of PDA and whether or not we’re effective is to look at benchmarks. Whether it’s raising money or generating letters, those are all very important. I think we will reach all of those. But the overarching benchmark for PDA as I’ve stated is that we are organizing a community of activists (inside and outside) that are willing to do the work and believe we can build a passionate and progressive government. What is it in Carpenters’ DNA that keeps him and the organization focused and optimistic? An early organizer in one of the most conservative areas of the country (Orange County), Carpenter also worked on campaigns in the late 1960s-early 70s for Jerry Brown, Tom Hayden and George McGovern. “I struggle like everybody else today, but I also believe it is our responsibility to keep moving and pushing and to stand on those shoulders that brought us to this point of a progressive community. “At an early age I had serious health issues (degenerative arthritic condition and cancer as a young adult). I had to make decisions early in my life on what was important and what wasn’t and that altered my viewpoint at a young age. I think that, coupled with the fact I grew up in a very Irish Catholic family. I went to Catholic grade school; learned from the Jesuits. I took very seriously the social justice gospel and from there began to chart out my course. Hopeful signs that Carpenter sees daily in his work with PDA include the passion and energy the “younger generation” has for progressive causes. “It’s there,” he said about the work of the next generation. “Not in the way we sometimes look at it from the old ways of organizing, but I can say unequivocally in the work I’m doing with PDA and the cities I’m visiting that the youth are engaged and active. I point to a group called I Matter. They have a group of 10-11 year olds who are organizing their grade schools and high schools for a better planet that they will inherit from us. We haven’t done a very good job when it comes to climate and global warming and I Matter is at the forefront in really organizing and speaking out to create a community that understands the imperatives and the perils we face right now on climate change. In addition to the continued push for the Back To Work Budget, PDA will also be focused on key events in April that include Rep. Keith Ellison’s re-introduction of the Robin Hood tax as well as the awaited decision on the Keystone Pipeline. “The Environment. Many are already saying it’s simply too late,” Carpenter said. The next couple of months will be crucial with the tar sands and the Keystone Pipeline. We need to stop that pipeline and deal with a larger strategy that deals with the climate, carbon tax, green jobs and getting rid of nuclear power. One of the best ways to stay abreast of what’s happening on progressive issues is to stay connected to PDA. And, the best way to learn more about PDA is to visit their web site by clicking here. Like them on Facebook and you’ll get reminders and invitations to all of their topical monthly conference calls. You’ll have the opportunity to connect with people from literally around the country who are concerned about the progressive issues for which PDA fights. Their eNewsletter is another great way to learn and “click” your way to more action. You can donate directly to PDA by clicking here or by checking out our special offer. 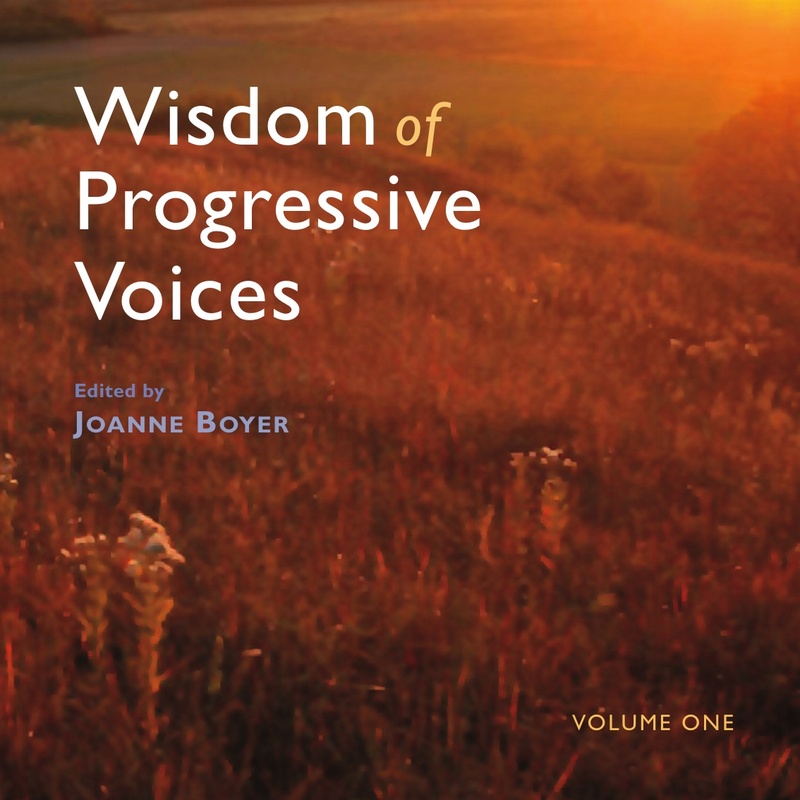 We are donating portions of every individual copy of Wisdom of Progressive Voices directly to PDA. The memory of Bob LaFollette, Dorothy Day, Rachel Carson and all of the progressives featured in our book owe a thank you to PDA and their continued work. This entry was posted in Democracy, Democratic Progressive Caucus, Single Payer-Health Care Reform, Social Justice, Wisdom Voices Spotlight and tagged common good, Progressive Democrats of America, Tim Carpenter. Bookmark the permalink.